Homer, a town on the western side of Cortland County just north of the city of Cortland, has about 6,000 residents. Homer was named after the Greek author of the Iliad and the Odyssey. Michaels & Smolak represents personal injury victims from Homer and all of Cortland County, including the victim of a rear-end automobile collision who sustained fractured ribs; cervical strain and a foreign body (glass) in his eye. 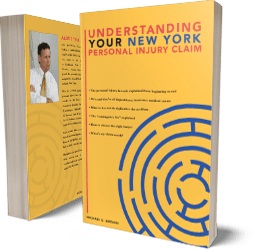 Michaels & Smolak is believed to be the only Finger Lakes law office dedicated its practice almost exclusively to representing plaintiffs in personal injury and medical malpractice cases. The personal injury and medical malpractice lawyers of Michaels & Smolak, at their Homer clients’ preference, meet with them either at their homes in Homer, or at the Michaels & Smolak law office in auburn. Directions from Homer to the Michaels & Smolak Auburn law office can be found HERE.